Not much news about powertrains yet. 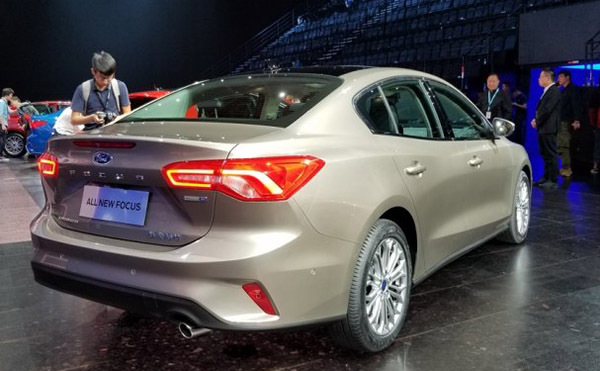 But here is the sedan version of the all new Focus. It will come to the US from China. Not sure yet if we are getting the new hatchback as well or not. So far, the sedan looks pretty invisible. And actually old next to the current Civic. 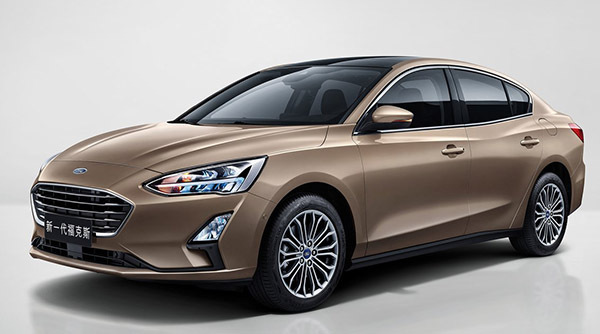 The new Focus looks way better than the Civic. Looking at that boring vanilla mess, I can see why Ford decided not to build it in the USA. That will never keep up remotely close to the current numbers in North America - it is that utterly boring. That is a <120k unit per year car ... and that is in its first year. Downhill after that. Handsome, but the pronounced fender swipes are a bit much. Reminds me of something I regularly doodled in the '90s. The sedan is a disappointment, the hatchback looks much better. Hopefully Ford changes its mind and sends them over from Europe instead of China. I think the current generation exterior design looks far better than the new one. I think the whole thing is a little cleaner and somewhat Mazda-like. As posted elsewhere, I can't imagine a lot of thought going into these sedans with the crossover craze at full bore. Is the design as innovative as the Civic. No. I think it is a rather upscale looking design, though. It’s also a big improvement over the current Focus. The 5-door and wagon are also conservatively handsome designs. I will never consider a vehicle from China. Ford should be ashamed. But then again, it's Ford. They have no shame.